One of the many things that helps make the horror genre relevant to audiences is its ability to form links and hybrids to other genres. This only makes sense because the way to effectively scare audiences is to find the core of their fears and splatter them all across the screen. It is what a romantic comedy will do in order to touch the heartstrings of an audience or what a drama will do in order to make audiences cry into soaked tissues. Yet, while a comedy is not necessarily incompatible with a drama (in fact, the pairing is often a winning one) it is a necessity for the horror genre to connect with various other genres in order to effectively scare and thus succeed. A part of the human condition is to possess many facets, such as a sense of humor, empathy, moral ambiguity, etc. In addition, a hybrid such as linking horror to science fiction also provides a social commentary for the contemporary times in which these films were produced. Some areas of the horror genre that exemplify this idea are found in the works of Stephen King, the Alien franchise, the Scream franchise, and more recently with the Insidious films. One can argue that many of the features in the horror cannon are most successful by linking to other genres in the form of genre hybrids and succeed best due to the character development and social commentary that these hybrids provide to audiences. In terms of character development, the works of Stephen King are a prime example of the importance of having characters that audiences can relate to and why these works are so successful. While most people, when thinking of Stephen King, go automatically to buckets of pig’s blood, haunted hotels, or possessed automobiles, a slightly deeper scratching of the surface finds that what audiences actually relate to are the characters in these stories of horror. Without the character development associated with King’s work, would audiences really be scared of a clown in It and sit through 178 minutes of film? Sure, Tim Curry effectively portrays Pennywise in ways that still sends a chill through this writer’s spine some years after his first viewing. However, what keeps most audiences glued to their seats for three plus hours are the relationships between the “Losers.” At times the film can almost seem like a picture about the drama of bullying or the love story of Ben and Beverly. Thus, a hybrid between horror and drama is formed. 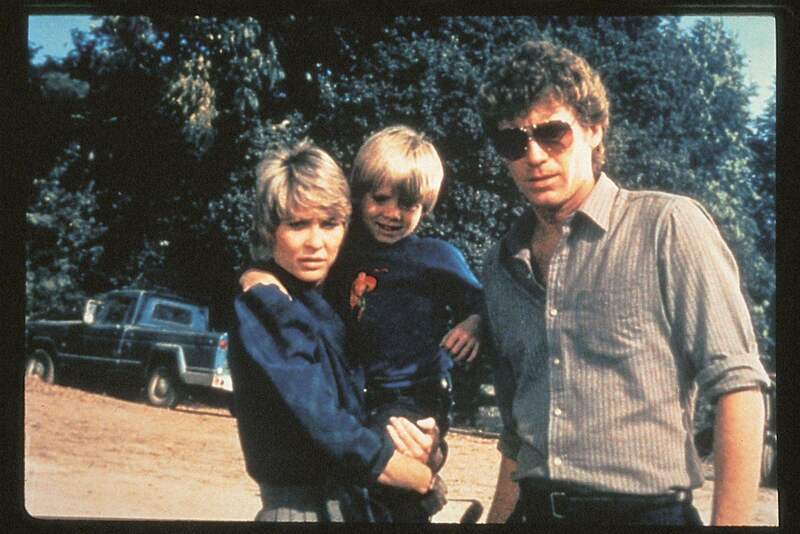 In addition to It, the first half of Cujo resembles more of a family drama than a movie about a rabid dog gone berserk. Yet, without the first half of the film’s family drama the second half has far less impact in terms of horror.. The audience needs to care about or relate to all these characters in order to successfully feel fear. When trying to scare an audience, it also helps to have a balance of comedy as well as love or family drama. An excellent example of this would be the Scream series. Scream follows Sidney Prescott and the family drama she experiences as a result of her mother’s capricious nature. Yet, throughout the entire movie, one thing that sticks out in the Kevin Williamson penned script is the voice of the teenagers. With youth comes certain optimism even in the worst of times. 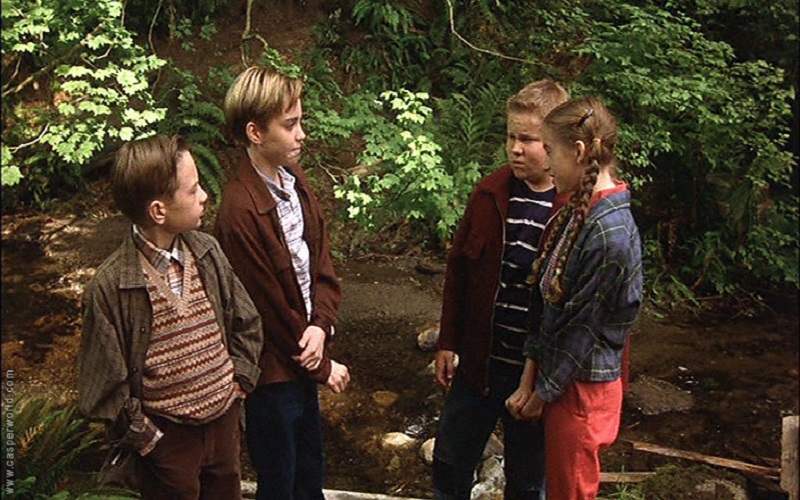 Even though two of their classmates were killed at the beginning of the film, true to form these teens feel as if it can not really affect them directly. It would seem (incorrectly) that they have their whole lives ahead of them. They still plan a party and make jokes about strung up principals and how to pause a Tom Cruise movie in order to see all of his male parts. The audience, at times, may feel like they are watching a John Hughes teen movie rather than a horror picture. Yet, the hybrid of comedy and horror is ultimately what made the Scream franchise so successful. Another franchise illuminating the way to successfully meld genres would be the Alien franchise. 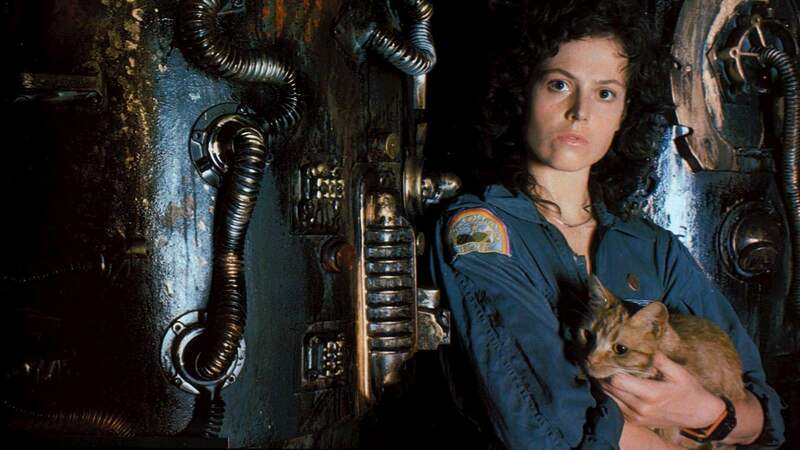 At first glance, Alien would seem to be categorized as a science fiction film. The elements of science fiction are there: futuristic, advanced technology, space travel etc… However, the elements of horror are there just as strongly: Monster, Final Girl, the killing of characters one by one. The tagline alone suggests a hybrid: “In Space, No One Can Hear You Scream.” Particularly, the words “space” and “scream” show that the audience is going to se an amalgamation of different genres within the film. What Alien does so well in terms of science fiction is provide a social commentary. Even with futuristic elements, the flick is an examination of the contemporary time in which it was produced. For example, the element of Corporate America being very present as the crew debates on how much money they are going to make from their expedition and then on what percentages they will receive in finding an alien creature. References to “the company” are made and that becomes a substantial element in the criticism of corrupt individuals in power to the series as a whole. Middle-class America movie goers can relate to this idea and thus it makes the film more effective when it comes out to be a horror film: We actually feel for the characters when they are being killed as well as for Ellen Ripley (Sigourney Weaver) as the Final Girl when she is left alone to survive against the alien (or monster). The fusion of the two genres makes for quite the successful franchise. 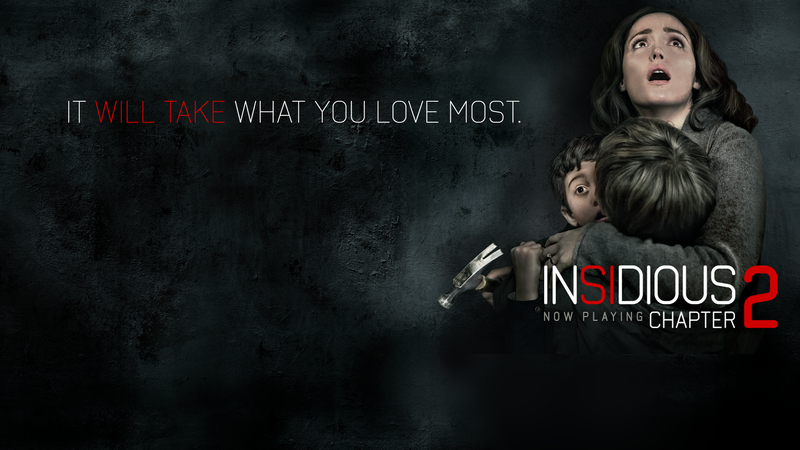 In terms of a more recent franchise successfully using genre hybrids and character development,the Insidious franchise does so seamlessly. What made Insidious and Insidious: Chapter 2 work so well was the fact that while on the surface they were dealing with the supernatural, they also both play out like a drama. The relationships between the family members are explored in detail. The audience grows more and more attached to these characters as the franchise unfolds and that is what establishes the terror that viewers feel as the films come to their dramatic conclusions. A theme throughout the films is an exploration of the ghosts of one’s past and this is a common thread in most family dramas. As the release date for the next chapter in the series draws near, one can hope that there will be retention of that element of family drama. In a world where attention spans are decreasing at high rates, it can be difficult to balance different elements in not only the horror genre but in all film genres. Yet, without these elements horror films run the risk of becoming weak or watered down. If there is not comedy fused with horror to make audiences relax then the set up will be lacking in order to achieve the next scare. The human condition is a combination of various elements and the horror genre works well when it is composed of several elements. These elements produce genre hybrids that are ultimately used to link to the human condition and reach in to examine what really scares us. This frequent forming of genre hybrids is what makes the horror genre so unique. In order to truly scare another person, one must first understand all the elements linking together to form the human condition.